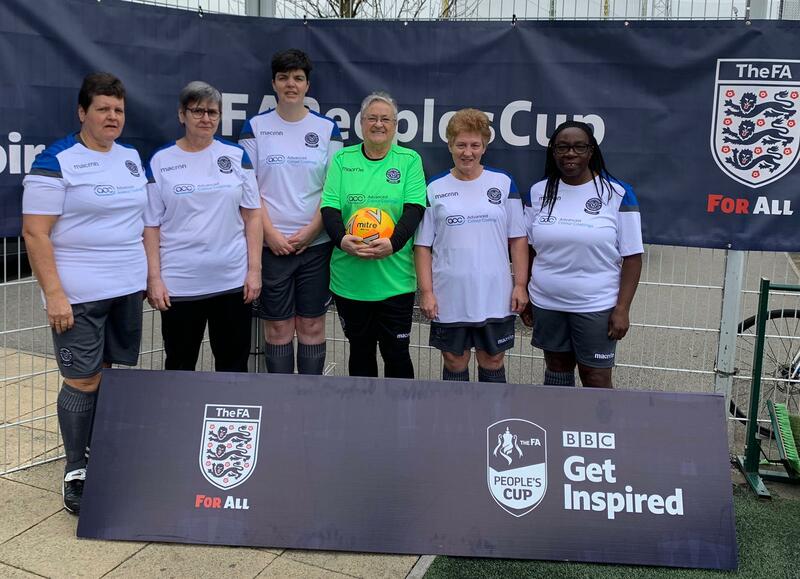 Birmingham Walking Football Club Women ‘Reds’ began their FA Peoples Cup campaign in the Southern Semi-finals at Goals Wimbledon after a first-round bye. 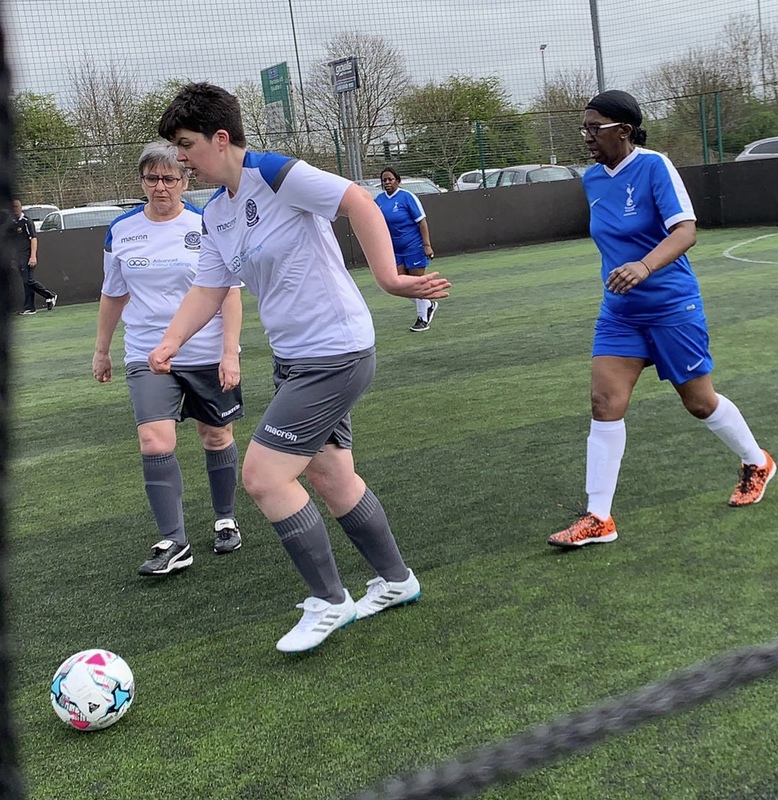 Saturday morning brought us to Goals Wimbledon – a short drive away. 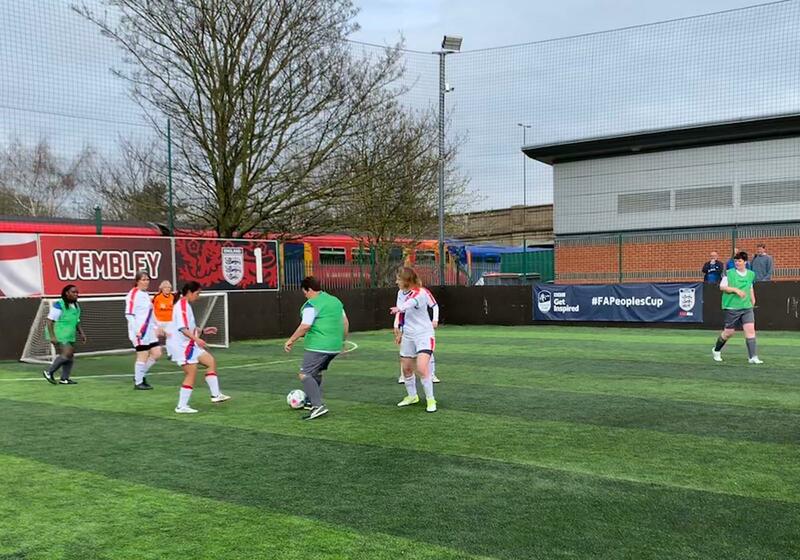 On arrival, we discovered we were one of four teams; ourselves, Palace for life, Pompey and Spurs and that the two best teams would progress to the finals at St Georges next month after a round robin followed by play-off games. 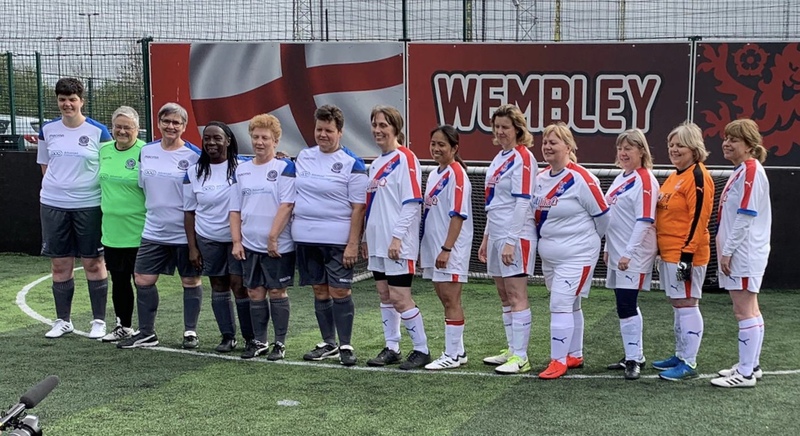 Our first game was against Spurs and we quickly went a goal up (Kathy) which settled nerves and we scored four more goals over the course of the 14 minute game with Spurs scoring a consolation goal in the final minutes. 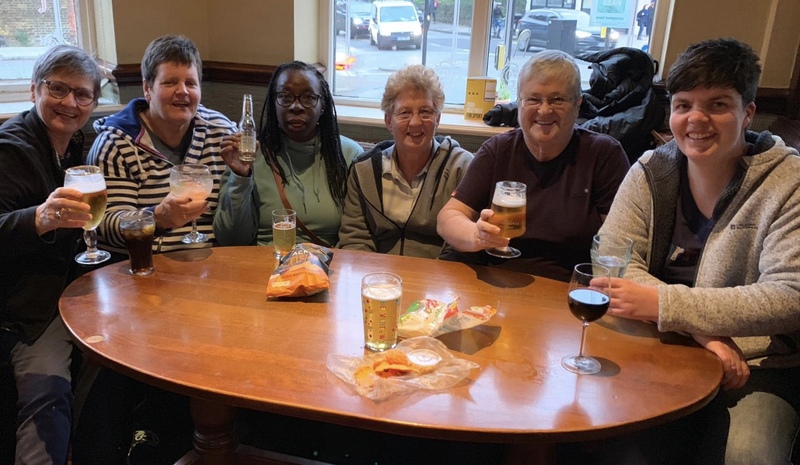 However, Reds finished the game 5-1 winners with three from Kath and one each from Karen D and Jan. We then had a break for two matches – a fact for which our five over 60’s were extremely grateful! Second game for us was against Pompey who had played Spurs in their first game. We quickly went two up but were pegged back to 2-2 before Jan scored and then Kathy completed her second hat-trick of the day to give us a 4-2 victory. Final game of the first round was between us and Palace. We had both had won our two previous games which meant we could finish no worse than first and second in the group. This also meant we would not face each other in the playoffs for the places at St Georges. This game against Palace ended in a 1-0 loss which meant we finished the group in second and faced a play-off game against the third-place team which ended up being Spurs. Thankfully, the other playoff game was up first, giving us another valuable rest before we faced Spurs for the second time in the most important game of the day for us. THIS was the game we really needed to win … and we did, comprehensively. Karen scored first followed by Kath before Spurs pulled a goal back. 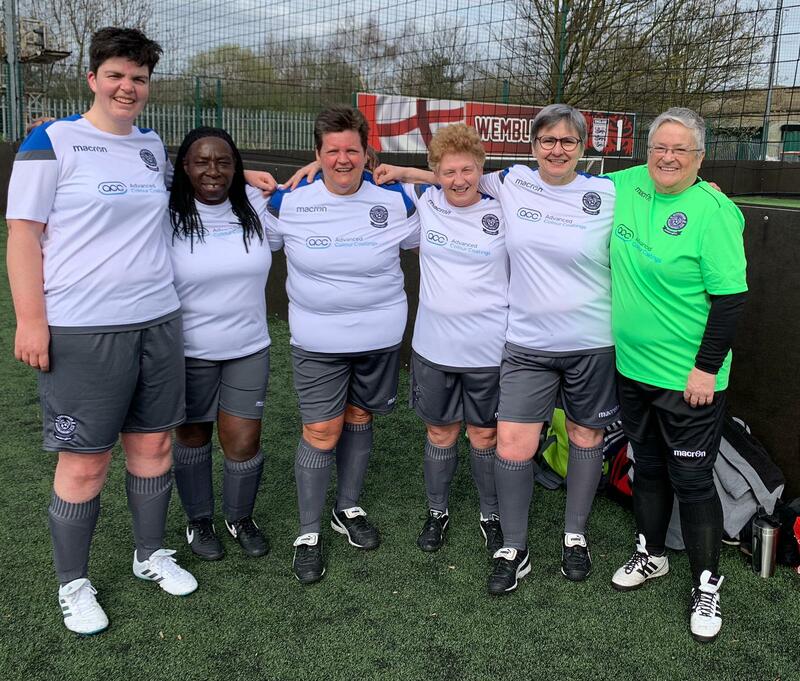 However, two from Sonya and two more from Kath, scoring her third hat-trick of the day, saw us run out 6-1 winners and into the finals at St Georges. The final saw us up against Palace again, playing for the honor of being the best team of the day and the best team did win it, but it wasn’t us. We lost 2-0 and although we had chances, Palace were the better team, well deserving their victory and to be the day’s winners. We look forward to seeing them again at St Georges in April. Sue Thomas (GK), Kathy Broadfield, Karen Smith, Karen Downes, Jan Trigg, Sonya Compton. Goals: Kathy 9, Jan 2, Karen D 2, Sonya 2.